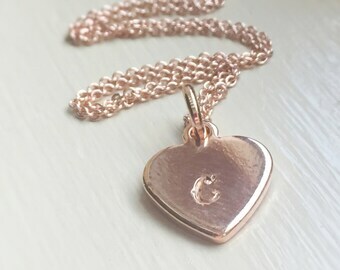 Two sweet little silver script initials are separated by a tiny rose gold heart. This dainty piece makes a great little layering necklace or works great as a petite everyday necklace. 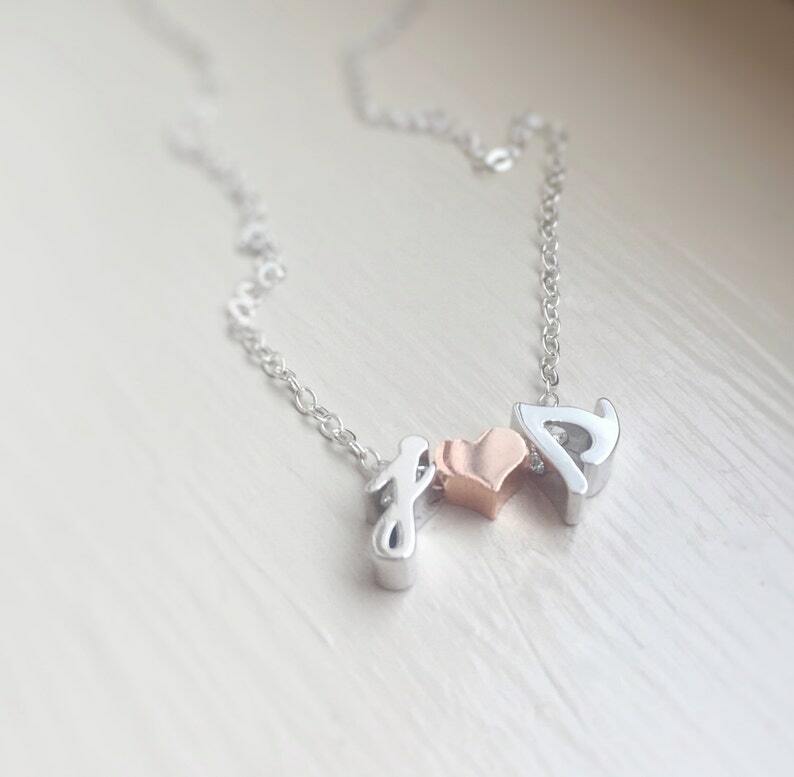 The initials and heart are plated with a high-quality rhodium finish and the chain and other findings are sterling silver. Each piece is made to order, just for you, so choose your length from 16", 18" or 20". Just the heart? See this listing. Gifted this necklace. I received word that it's a very neutral piece that goes with everything...super cute!